Beautiful fashion blond girl with White Short Hair. Manicured nails. Mulatto woman. Eyes makeup. Jewelry accessories. Makeup and Manicured nails. 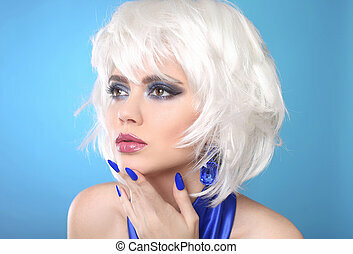 Fashion Style Beauty Woman Portrait with White Short Hair. Fashion Beauty Portrait of woman with White Short Hair. Makeup and Hairstyle. Manicured polish nails. Manicured nails. Professional makeup. Blond woman Portrait. 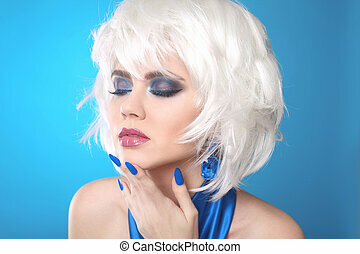 White short hair style. Fashion Beauty Photo. Sensual lips. 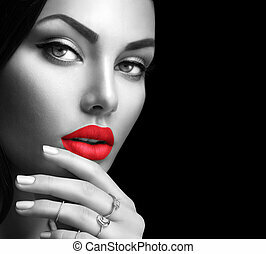 Woman Makeup and Manicured polish nails. 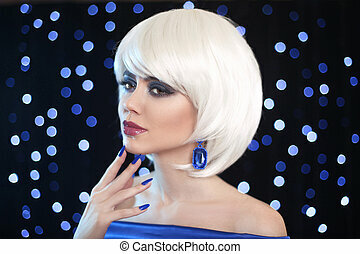 Fashion Style Beauty Female Portrait with White Short Hair. Beauty Blonde. Blond bob hairstyle. 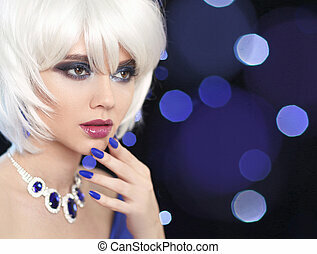 Fashion girl model with makeup, short hair, manicured nails, golden jewelry set isolated on white background. Beauty Blonde. Blond bob hairstyle. Manicured nails. 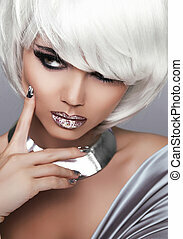 Fashion girl model with makeup, short hair, golden jewelry set isolated on white background. Manicure. Beauty Blonde. Blond bob hairstyle. 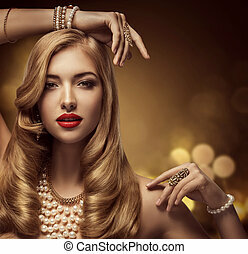 Fashion girl model with makeup, short hair, manicured nails, golden jewelry set isolated on white background.